A man accused of fracturing another man’s jaw in two places after a fracas over neighbouring students being noisy in their accommodation has made his first appearance at court. Isaac Guy is also alleged to have attacked two other men in the same incident. 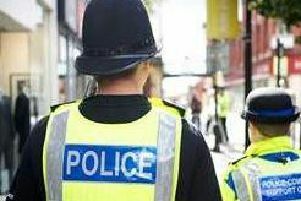 Guy, 21, of Poulton Street, Fleetwood, is charged with one offence of wounding a man causing him grievous bodily harm and two charges of assault. The offences are alleged to have taken place on July 4 last year at Fleetwood. Guy is also alleged to have failed to disclose the pin number of a mobile phone when required by police. Guy was bailed to appear at Preston Crown Court on February 17 by Blackpool magistrates and must not enter the boundary of 88 Poulton Road, Fleetwood, as a condition of his bail.